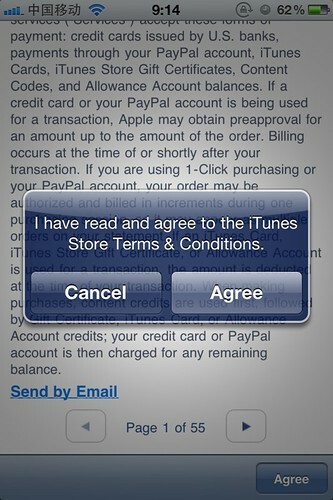 Each time iTunes store updates it's terms and conditions, I have to read all the pages theoretically. But I didn't do it. 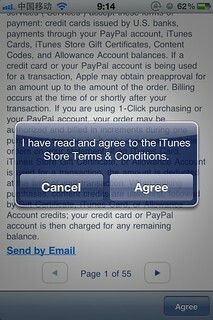 You'll see the page number here. 55 pages of law language. How can I make it?